This complex is located within a 5 minute walk to campus and includes a parking lot right outside the building which eliminates walking to your vehicle. 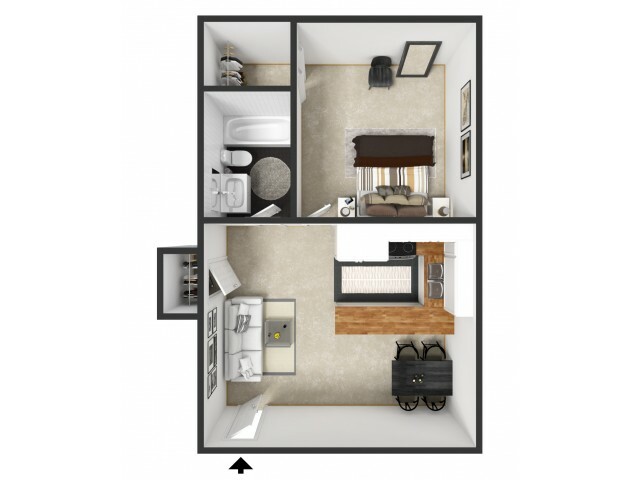 Each apartment is approximately 435 sq. feet. It is also close to shopping malls, restaurants, grocery stores, and banks. The transit bus has several stops close by for your convenience.